Perhaps the most exciting news to come out of CES 2019 wasn't the camera releases, as there were relatively few, but a freak incident that may have broken a camera, and it was all down to driverless car technology. At CES Jit Ray Chowdhury, himself an autonomous engineer, took a picture of an autonomous car using lidar technology with his Sony A7R II camera. After he took the image, he found that any photo he took after there were purple spots on the images. This was apparently caused by the lasers used in the lidar technology - the navigation system used by autonomous vehicles that maps out objects surrounding the vehicle (lidar is an acronym for light detection and ranging). Chowdhury tweeted about the incident and spoke to ArsTechnica about it, noting: "I noticed that all my pictures were having that spot. I covered up the camera with the lens cap and the spots are there - it's burned into the sensor." AEye, the company behind the lidar technology, has responded, with CEO Luis Dussan noting that while there's no harm to eyes, "cameras are up to 1000x more sensitive to lasers than eyeballs." Speaking about lasers in general, he explained: "Occasionally, this can cause thermal damage to a camera's focal plane array." It's pretty clear that you should never point a camera at a laser, but in this case the laser was invisible to the human eye. 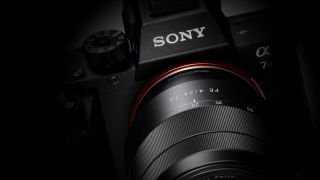 The best Sony A7R III deals in 2019 - you know, just in case.